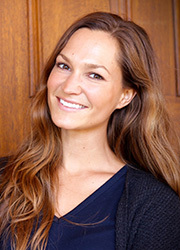 Her project will explore food literacy through student focus groups that will be conducted with three student populations at UCLA: 1) undergraduates living on campus; 2) undergraduates living off campus; and 3) graduate and professional students. The focus groups will explore students’ knowledge about food’s nutritional quality, where their food comes from, how food has been part of their personal histories and what influences their food choices, among other related issues. Demographic information also will be collected from all participants via questionnaires. The outcomes of this research project will serve to illuminate student experiences and perspectives as well as support the advancement of food literacy at UCLA and across the UC campuses.